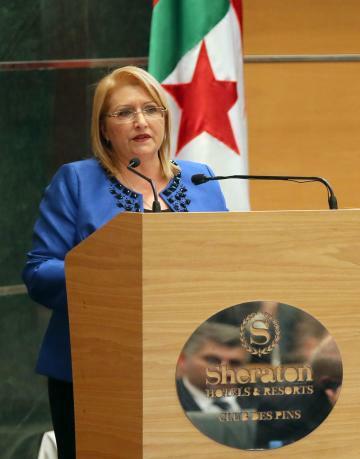 Relations between Malta and Algeria reached an unprecedented peak in the past months and it was clear that both countries had much more to offer each other, President Marie Louise Coleiro Preca said last night. 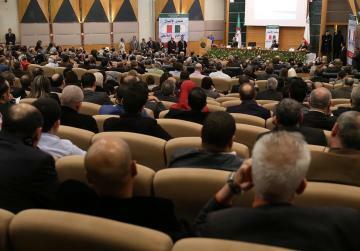 The President was addressing the Maltese-Algerian Business Forum, attended by Maltese and Algerian businessmen, in the presence of Algerian Prime Minister Abdelmalek Sellal during a state visit in Algeria. She said that her presence at the forum was a true testimony of the importance which Malta gave in continuing to build closer collaboration with Algeria and that it also testifies “the good will of both our countries to increase commercial interaction, collaboration, partnerships and joint ventures”. While speaking about her aspiration to find ways to establish new partnerships and to expand trade and investment opportunities between the businesses of Malta and Algeria, she mentioned that “friendly nations, peoples and businesses need connectivity between them”. The President praised a number of initiatives which were taken recently, all of which were “a step in the right direction”. These included the introduction of direct Air Malta flights in June 2013; the signing of the Air Services Agreement, the setting up of the Maltese Consulate in Algiers in 2014, and the recent appointment of a new Maltese Ambassador to Algeria, the last two being described by the Maltese President as the providers of “a solid framework for continued progress in all areas, particularly in bilateral trade and economic spheres, as well as tourism”. The President said that the revival of the mixed commission after an absence of 28 years would also encourage a deepening of business links and would lay the foundation for productive partnerships and ventures in new areas. She added that she looked forward to the reconvening of the fifth session of the Maltese-Algerian Joint Mixed Commission later this year and to registering more significant process in the discussions which would lead to the signing of the Double Taxation Agreement. The President had several meetings in Algeria including with the Algerial Prime Minister Abdelmalek Sellal.